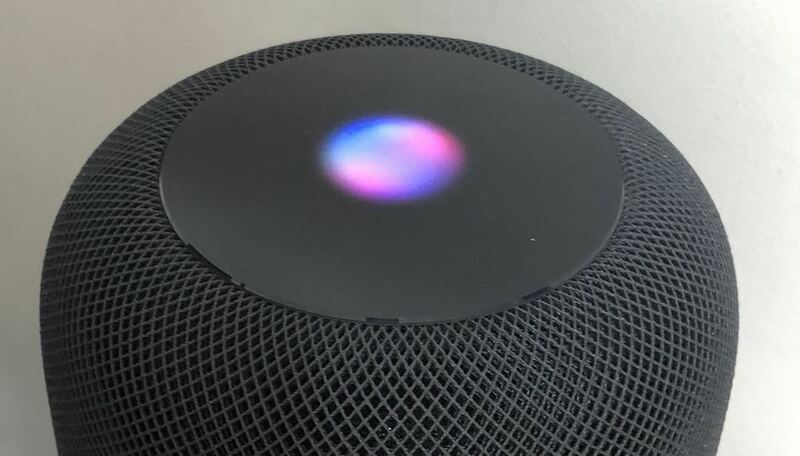 Apple has packed a lot of innovative technology into its new HomePod speaker so your music sounds amazing – but it’s also smart speaker and can also control your smart home accessories as well. 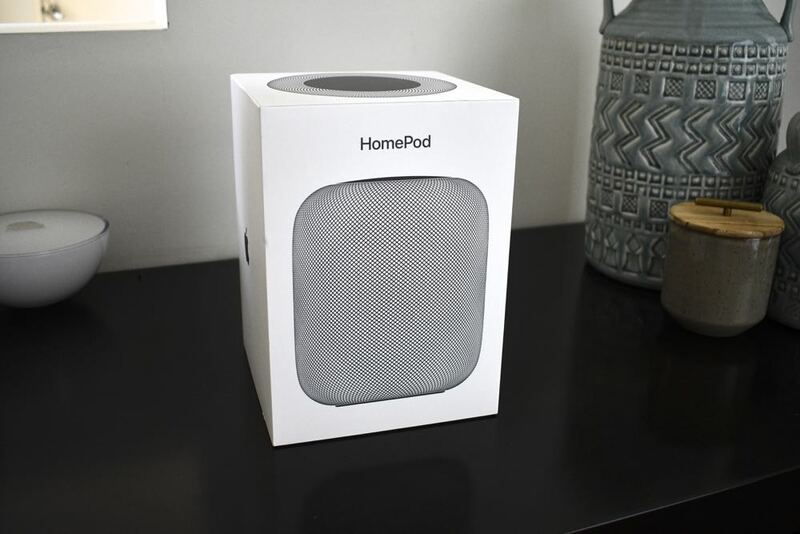 The timing of Apple’s HomePod release (it was originally due to land in December but was delayed till February) came at an interesting time when we already had Google Home and Amazon Alexa has finally arrived in Australia. 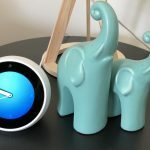 Google Home had well and truly established itself as the go-to smart speaker and found its way under many Australian Christmas trees in 2017. 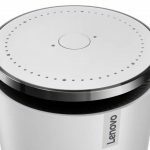 Amazon’s Alexa was creating similar buzz in the US and companies were clamouring to add its smarts to all sorts of appliances. Google Assistant, the power behind the Google Home speaker, was also the runaway winner at the recent Consumer Electronics Show in Las Vegas where many major companies made it the default way to control the smart devices in your home. So where does Apple’s HomePod come in? Well, first and foremost, HomePod is a music speaker that’s intimately tied to Apple Music. But it also has the intelligence of Siri built in as well. 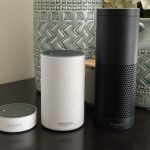 It is frankly in a league of its own when it comes to audio quality when compared to Google Home and Alexa which can best be described as good not great when it comes to playing music. 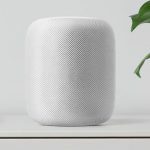 But having excellent music credentials shouldn’t take away from the HomePod’s smart home abilities because it still has a respectable level of things it can do around the home with your smart devices. 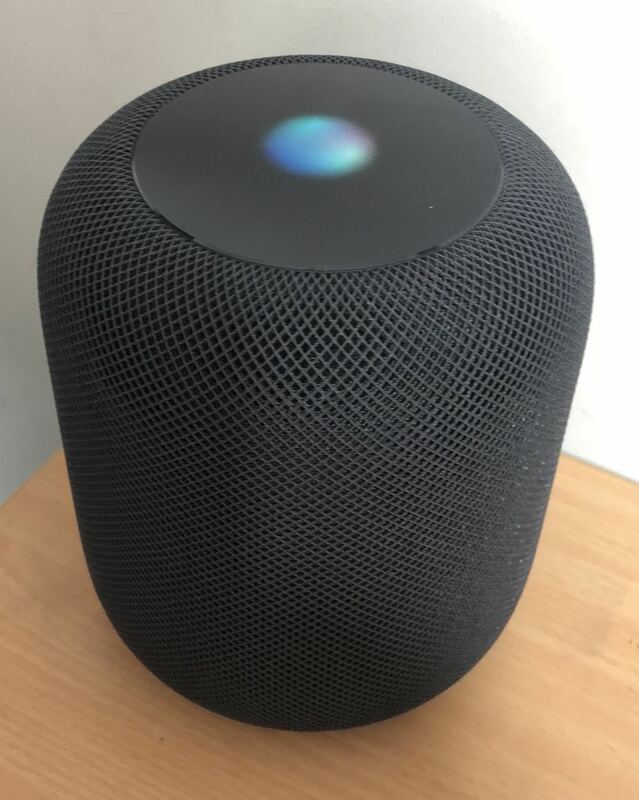 Apple has typically offered a superbly designed product with the HomePod but the difference here is that the design of the inside of the device, being a speaker, is more important than the outside. The speaker is covered in seamless mesh fabric and has volume controls on top and a small screen to see when Siri has been activated. It is powered by the advanced A8 chip which analyses the music and dynamically adjusts the output while continually adapting the acoustics for the best results in the room it is located. Also under the hood is a high-excursion woofer to give listeners a wide range of bass thanks to a motor driven diaphragm which travels 20mm peak to peak to create a surprisingly large sound. There is also an array of seven tweeters and each has its own amplifier in a unique folded horn design which allows for excellent directional control. What you get as a result is smooth sound in all directions to give the listener a larger sound stage. But the HomePod isn’t just playing sound, it’s also listening as well through its six microphone array. These are used to analyse the sound output but also to listen out for the user whenever they want to speak to HomePod. And the remarkable thing is, HomePod can hear you from across the room even when playing loud music. The HomePod is remarkably easy to set up. Simply plug it in and have your iPhone or iPad nearby and you are taken through the steps. These include selecting the room where you want to locate the speaker, enabling Personal Requests (more on this later) before transferring your settings from iCloud, iTunes and Apple Music. It takes other information like your wi-fi network and password from your phone’s settings. The user doesn’t even have to worry about it. We should note right here that HomePod won’t pair with an Android device despite Apple Music being available for Android. HomePod is linked to your Apple music account which means it has all of your playing history and knows all your favourite artists. The next part of the set up takes place when you play your first song. This is when HomePod senses its location in the room and makes adjustments to optimise the sound based on its position. For our review HomePod was positioned near a wall on top of an entertainment unit. It’s smart enough to reflect ambient and backup vocals off the wall while offering directional sound and vocals at the listener towards the middle of the room. We changed the location of HomePod in our home a couple of times and each time it used the built-in accelerometer to re-adapt itself to its new spot and optimise its performance. So how good does it sound? The one-word answer is incredible. We are fussy listeners and appreciate superior audio quality and HomePod delivered spectacularly in every department. Clarity at the high and mid-levels was remarkable. There was so much detail in the music and we were hearing things in some songs for the first time. We are big fans of bass – but only when it’s balanced and proportional. Some brands go overboard with the base, including Beats which Apple owns, and that’s what attracts a certain type of listener. For our ears, HomePod got it perfectly right with enough low-frequency response without being over-the-top. And no matter where you sit in the room it sounded great. Apple Music provides lossless audio and, for the artists who go to the trouble of laying down several layers to their tracks, the listener is rewarded with all that subtlety and nuance. That’s probably why certain artists sound better than others – their music has a lot more information for HomePod to interpret and play through its high-quality speakers. But the real power of HomePod is not just its obvious audio quality but also the link to Apple Music. Sure you can easily link Spotify to a Sonos speaker and it does a great job – just as a speaker. With HomePod and Apple Music you get so much more. Siri can hear your requests and make things happen. And because Apple Music knows you and your music tastes so well it can often surprise you with its song selections. Being able to control HomePod with your voice makes accessing your music even easier. You can simply say “Hey Siri, play me some music” and it will kick off a selection of songs based on the artists and you listen to and the genres you like. Perfect for winding down at the end of a long day because it takes no effort except for that short sentence. But it goes a lot deeper than that. You can ask for specific songs, specific artists and genres. Siri can even serve up music based on your mood and situation. You might ask for chill cooking music or upbeat cardio music. There is such a wide range of choices you will be continually amazed. It’s like having your own personal music director who knows exactly what you like when you ask for it. That’s the power of the experience – a great music speaker and an amazing music service that come together for the listener. That’s what you get with HomePod and Apple Music. And of course you can control the speaker with your voice. You can tell Siri to stop, play, adjust the volume, skip to the next track, skip forward in the song and play the previous track. It’s also possible to control the playback using your iPhone or iPad. From the Apple Music app you can use AirPlay and direct your music to play on HomePod. But HomePod isn’t just for playing music. You can also find information, send text messages, make and receive phone call and set reminders. It can also control your smart home accessories as well. You can ask Siri to read you the news, to give you a weather report, to tell you whether you need an umbrella and to also check on traffic. Through HomePod, Siri can also provide a wide variety of information including general knowledge, metric conversions, setting timers, making dinner reservations and much much more. We can already do these things through the iPhone or iPad with Siri but with HomePod you don’t need to have your device near-by. On the smart home control side, HomePod it is also surprisingly well-credentialed. 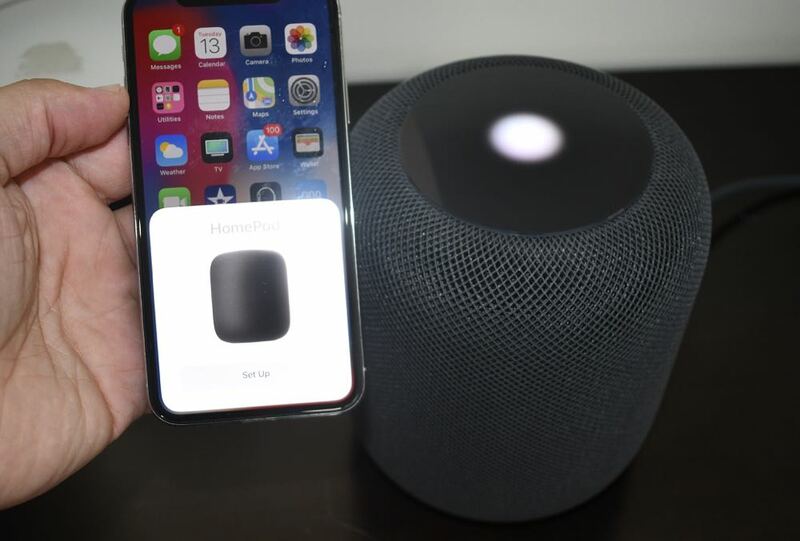 Apple already had HomeKit which allowed users to control their connected devices through their iPhone or iPad. 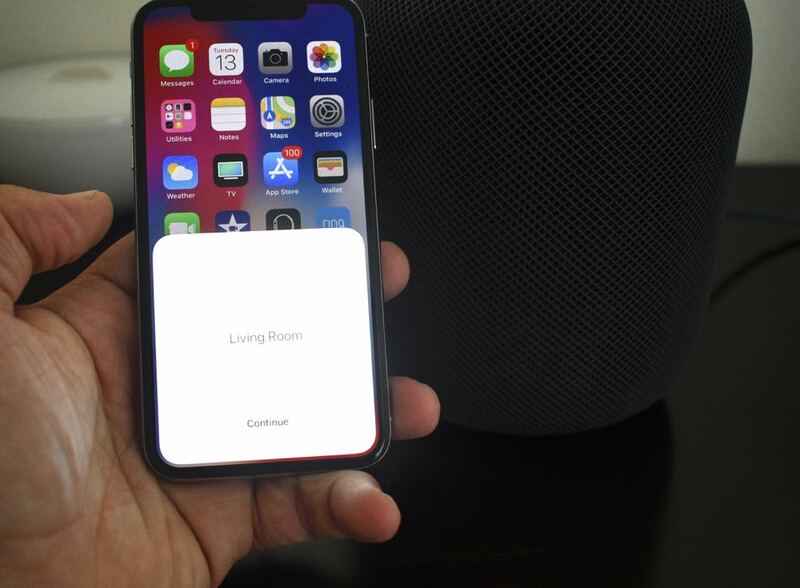 Now HomePod extends that convenience so you can control lights, switches, power outlets, sensors, cameras and other connected devices. Anything that can be configured in HomeKit can now be controlled through HomePod. You can even set up scenarios within the HomeKit app on your iOS device to trigger events. For example, when you come home you can program your lights to turn on and the music to start playing. And all you need to say is “Hey Siri, I’m home”. It’s the same story in reverse if you’re heading out. Users can also program events when they wake up – like turning on the lights and the kettle – and when they go to bed – like turning all the lights off. Using Siri, through HomePod you can also ask it to turn on lights, make the home warmer, lock the front door and turn on the coffeemaker. You can even ask for status updates like if the front door is locked, if the lights are on another room or if you left the garage door open. In terms of smarts, HomePod still offers a respectable level of convenience. No, you can’t order a pizza, check your bank balance or see how much credit you’ve got left on your prepaid mobile account like you can with other smart speakers but for us that’s definitely not a dealbreaker. Smart home control might not be the primary purpose of HomePod, but it can still do a surprising amount to make your life easier. 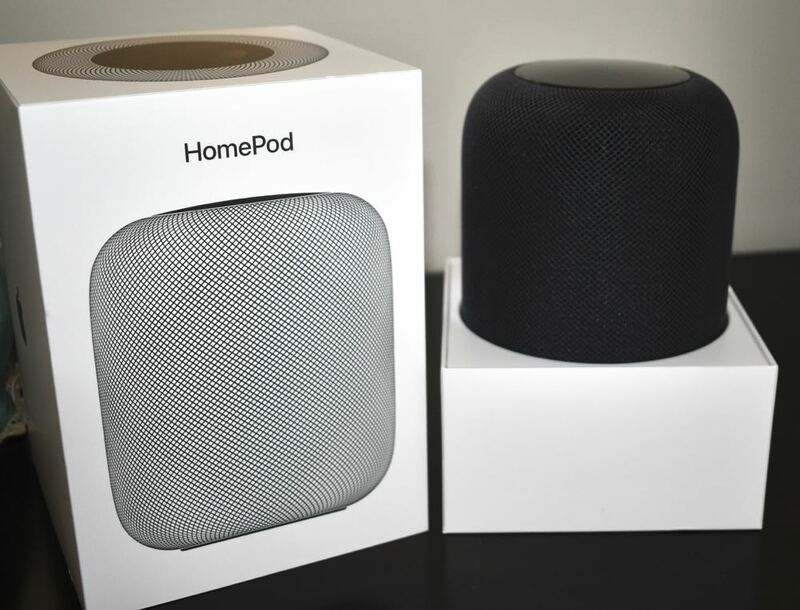 What you can’t do with HomePod is put two of them together to make a stereo pair. But the good news is a firmware update later this year will enable that very feature. Another missing feature is multiroom playback. But again, this is also coming later in the year – a feature that will be enabled with AirPlay 2. One thing to watch out for is the Personal Requests feature which allows you to send messages or set reminders. But if this is activated then anyone can ask HomePod to read your last message and reply to it. This issue is easy to remedy, you simply turn Personal Requests off. But it’s a real shame, Siri can’t recognise different voices so this wouldn’t be an issue. Other smart assistants can, hopefully Siri will be able to in the future as well. HomePod isn’t exactly cheap either at $499. But for your money you are getting a top-quality speaker that will absolutely reward you with stunning sound. For true audio lovers, this is a price they will be more than willing to pay. Apple has scored a home run with HomePod. It’s an excellent speaker and handy for controlling your connected devices. It’s audio quality is nothing short of remarkable and, when combined with Apple Music’s intelligence and versatility, it’s a package that is hard to resist. 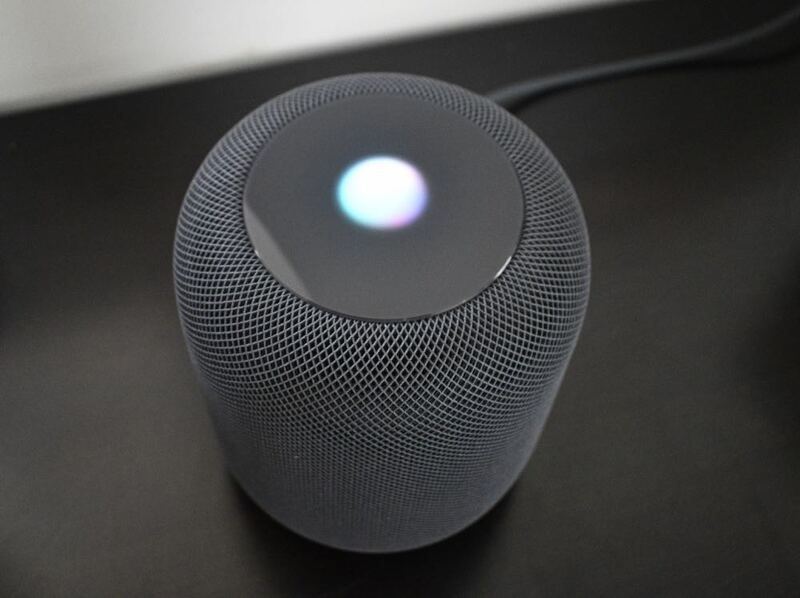 PROS: Easy to set up, works well with Apple Music, Siri offers voice control, stunning audio quality, control smart home devices. CONS: No stereo pair ability (but it's coming), no multiroom control (but it's coming), expensive (but it's worth it). VERDICT: Apple has scored a home run with HomePod. It’s an excellent speaker and handy for controlling your connected devices. It’s audio quality is nothing short of remarkable and, when combined with Apple Music’s intelligence and versatility, it’s a package that is hard to resist.